"Colhoun damningly documents the pathetic, incompetent and sometimes comic, but always inappropriate and anti-democratic, attempts by the CIA and/or its confederates, working in tandem with members of the mob, to assassinate Castro and overthrow the Cuban revolution." Gangsterismo is an extraordinary accomplishment, the most comprehensive history yet of the clash of epic forces over several decades in Cuba. It is a chronicle that touches upon deep and ongoing themes in the history of the Americas, and more specifically of the United States government, Cuba before and after the revolution, and the criminal networks known as the Mafia. The result of 18 years’ research at national archives and presidential libraries in Kansas, Maryland, Texas, and Massachusetts, here is the story of the making and unmaking of a gangster state in Cuba. In the early 1930s, mobster Meyer Lansky sowed the seeds of gangsterismo when he won Cuban strongman Fulgencio Batista’s support for a mutually beneficial arrangement: the North American Mafia were to share the profits from a future colony of casinos, hotels, and nightclubs with Batista, his inner circle, and senior Cuban Army and police officers. In return, Cuban authorities allowed the Mafia to operate its establishments without interference. Over the next twenty-five years, a gangster state took root in Cuba as Batista, other corrupt Cuban politicians, and senior Cuban army and police officers got rich. All was going swimmingly until a handful of revolutionaries upended the neat arrangement: and the CIA, Cuban counterrevolutionaries, and the Mafia joined forces to attempt the overthrow of Castro. Gangsterismo is unique in the literature on Cuba, and establishes for the first time the integral, extensive role of mobsters in the Cuban exile movement. The narrative unfolds against a broader historical backdrop of which it was a part: the confrontation between the United States and the Cuban revolution, which turned Cuba into one of the most perilous battlegrounds of the Cold War. Jack Colhoun is an independent historian of the Cold War (University of Wisconsin, Madison, BA, 1968; York University , PhD, 1976), an investigative reporter and professional archival researcher. Colhoun has written widely on U.S. foreign policy and covert intelligence operations. 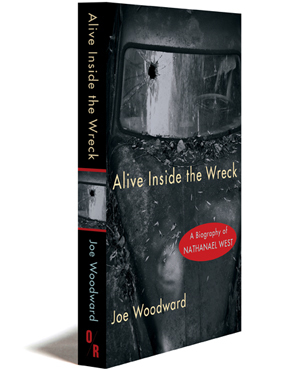 His work has appeared in the Washington Post, Toronto Star, The Nation, The Progressive, National Catholic Reporter, and Covert Action Quarterly. Colhoun was a longtime Washington bureau chief of the storied radical newsweekly The Guardian until it closed in 1992. During the Vietnam War, Colhoun, an anti-war Army lieutenant, was a leader of draft and military resisters exiled in Canada and an editor of the American exile magazine AMEX-Canada. August 1960, Miami: a telltale bargain was struck between exiled Cuban politician Manuel Antonio Varona and organized crime leader Meyer Lansky. Lansky, the impresario of the Mafia gambling colony in Cuba since the 1930s, had owned Havana’s Hotel Riviera and the Montmartre nightclub and their fabulous casinos. In Cuba, Lansky was known as the “Little Man” for his five-foot-four-inch stature, but his cold, hard eyes and intense demeanor were physical expressions of a man used to wielding power and getting his way. His dream of turning Havana into a tropical paradise for North American tourists had come true. In the 1950s, Havana had a reputation for the best gambling and wildest nightlife in the Western Hemisphere. And since Lansky shared the Mafia’s profits with General Fulgencio Batista and senior Cuban army and police officers, that gambling paradise became the cornerstone of a full-fledged Cuban gangster state. But when Fidel Castro’s bearded revolutionaries drove Batista from power on New Year’s Day 1959, Castro condemned the Mafia’s gambling colony for corrupting Cuban values, and shut it down. The Cuban revolution brought down the curtain on the era of gangsterismo in Cuba. In the meeting in Miami, Lansky offered Varona several million dollars to form a Cuban government-in-exile to replace Castro’s revolutionary regime. Lansky also promised to arrange a public relations campaign in the United States to polish Varona’s political image. In return, Varona, a stout man with heavy dark-framed eyeglasses, endorsed the Mafia’s single-minded objective: to reopen its casinos, hotels, and nightclubs in a post-Castro Cuba. Several months before the Miami meeting, Varona, a leading member of the reformist Partido Revolucionario Cubano-Auténtico (Cuban Revolutionary Party-Authentic), had publicly broken with Castro. Ever since, he had been shuttling between cities in the Americas to confer with other anti-Castro Cubans in a bid for leadership of the Cuban counterrevolution. Varona had been both prime minister and Senate president under Auténtico President Carlos Prío Socarrás. For their part, Prío and his brother Paco were closely connected to Lansky and Charles “Lucky” Luciano. In March 1952, Batista seized power in a golpe de estado (strike against the state), and Prío fled, leaving Varona to assume leadership of the Auténtico Party. But the Auténticos’ reputation as a reform party had been badly tarnished by the ties of its leaders to the Mafia gamblers. Varona himself had been connected with smuggling and kidnapping, and he kept pistoleros (political gunmen) on his payroll. A CIA memorandum reported, “[H]e maintained action groups at his service to force political decisions both in his [Camaguey] province and in Las Villas province where he was once provincial leader of the Auténtico Party.” Varona had good reason to accept Lansky’s offer. And so, in a remarkable act of political surrealism, the American Mafia, notorious for gangland murders and corruption of politicians, cleaned up the image of its Cuban partners in crime. In June 1960, the CIA made Varona the general coordinator of the Frente Revolucionario Democrático (FRD) (Revolutionary Democratic Front), the CIA-sponsored Cuban government-in-exile. The CIA underwrote the FRD and the leaders of its member groups; Varona received a $900-a-month subsidy from the U.S. beginning June 1, 1960. Varona also took part in a covert operation with the CIA and the Mafia gamblers to assassinate Fidel Castro. The circle of gangsterismo was squared. And an unnerving collaboration revealed. Antonio Varona at the headquarters of the Consejo Revolucionario Cubano in Miami in April 1963. U.S. News & World Report photograph. Library of Congress. In Washington, officials out of the intelligence loop on Cuba were unnerved when they learned how deeply the Mafia and their Cuban partners in gangsterismo were involved in the covert U.S. war in Cuba. Told by a “Washington businessman” about the Mafia’s subsidy of Varona, Assistant to the Secretary of Defense for Special Operations Graves B. Erskine became alarmed. The retired Marine Corps general warned the administration that Varona’s ties to the gangsters could have disastrous consequences both for the FRD and the United States. The FBI was anxious about the political implications in the United States of Varona’s alliance with the Mafia. What if the Cuban revolution was undermined, and the Mafia returned to the island to reclaim its gambling colony? Would U.S. public opinion turn against the White House and intelligence community? A January 1961 FBI memorandum asserted that a “critical public reaction could be expected to follow the reactivation of large-scale gambling operations in Cuba by top hoodlums should Castro be overthrown.” Even the veteran spy William Harvey called the CIA’s covert collaboration with the gangsters a “hand grenade” waiting to explode. Harvey, who ran the CIA-Mafia assassination operation in 1962–1963, warned CIA Deputy Director for Plans (DDP) Richard Helms that there was a “very real possibility” that the Mafia would use its inside knowledge of the plotting to blackmail the CIA. The baleful bargain struck by Lansky and Varona in Miami was a telling moment. Gangsterismo had migrated into exile in the United States along with tens of thousands of anti-Castro Cubans by August 1960. 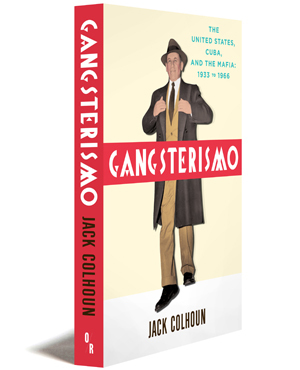 As we will see, gangsterismo was to play a major role in the secret machinations of the CIA and Cuban exiles to overturn the Cuban revolution in the years to come. Classic Detroit-built cars, like this old Chevy, crowded the streets of Havana in the 1940s and 1950s, as they do today. Photograph by Jack Colhoun, 2001.